In March 2010, underground psych-rock outfit Yura Yura Teikoku quite suddenly announced their breakup on their official band website. Their statement read: ‘Now that the band has reached a record high, we felt it was time to finish.’ While it’s not unusual to hear of bands splitting because they’ve run out of creative steam, this must have been the first time in the Japanese music scene that a band broke up simply because they had reached the height of their popularity. Looking back, the existence of a band like Yura Yura Teikoku (literally ‘The Wobbling Empire’) alone was something that had never been seen before. Starting out as a psychedelic garage band with an old-school hippie vibe, they entered the new millennium with songs reminiscent of nursery rhymes, complete with children’s vocals; minimalist songs that took the reduction of sounds to the extreme; songs that left out guitars in favour of the sax and the shakuhachi (Japanese flute); and then a few AOR (album-oriented rock) songs that held commercial appeal. All in all, they produced a huge collection of music that broke the rock-band mould and surprised both fans and critics. 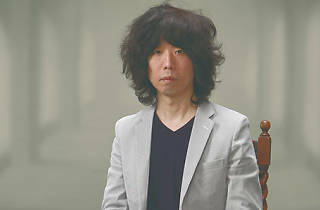 After the band split, Yura Yura Teikoku’s frontman Shintaro Sakamoto released ‘How To Live With a Phantom’ in 2011. With no trace of his former rock persona to be found, Sakamoto’s first solo album is best described as funk, with congas and maracas reverberating rhythmically through soft, groovy, mellow songs. 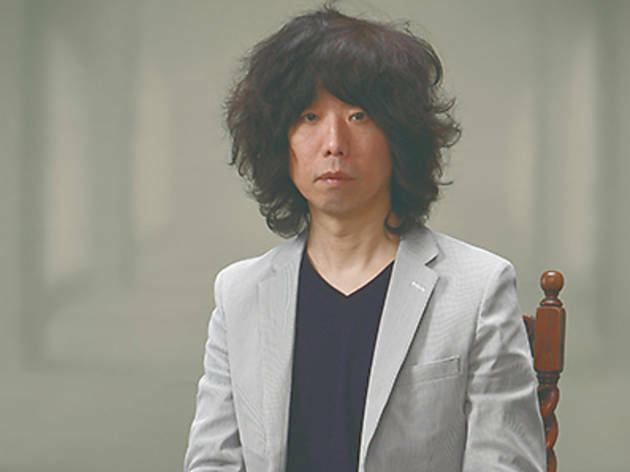 An exceedingly private ‘monologue’ can be heard through Sakamoto’s choked vocals. Released overseas through the Other Music label, it found strong support from international musicians such as Mayer Hawthorne and Christopher Owens (originally from Girls). On first listen, ‘Let’s Dance Raw’ presents as a cheerful album, full of upbeat, tropical sounds. When you read the lyrics, however, you are confronted with the ego and darkness that exists in the heart of every person. ‘I wanted to depict tragic things, but these things make it hard to enjoy the music, so I gave it a coating of science fiction.’ Although they reflect a sci-fi future, the lyrics are laced with a sense of resignation. The message they seem to relay is that we are living apathetically in a nihilistic world where everyone must somehow still find pleasure in the established order. Perhaps there is a connection to how Sakamoto feels inside. He remarks that even after a career spanning more than 20 years, he has not grown used to appearing in public, which results in a feeling of frustration at not being able to completely be a musician. ‘I haven’t rid myself entirely of that awkwardness that comes from being embarrassed to go out on stage. But I can’t turn my back [on being a musician].’ Since going solo, Sakamoto has resolved to stop playing concerts and to slip away from the deadlines and obligations of the music industry, instead taking as much time as he needs to create the music he loves. We can’t help but think there must be a direct link between this freedom he’s allowed himself and the fascinating intricacies of the music he’s giving us.